Recently, I had to create one status dashboard for a JIRA project. Tableau does not connect to JIRA out of the box and you need to purchase a connector to get this functionality. Since JIRA has a REST API, my initial instinct was to build a web data connector. But it turns out that you can get the JIRA data to Tableau in two lines of python code. I ended up with writing a python script that runs every hour and dump the JIRA data to a json file. Tableau can consume json file easily and it works for both JIRA cloud and server. Here is the essence of my script. I know what you are thinking; this is not two lines! Well, it can be written in two lines if you dont care about code styling or PEP-8 compliance. Remember to select all schema levels when making the connection in Tableau. 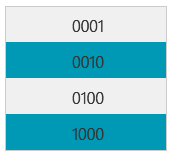 Here is a preview of the available fields after creating the connection. Btw, I know this post’s from a while ago but, any chance you could explain how to implement the code (as in, where – never used Python in combo with other software)? You can copy the code in to a .py file and run it as a standalone script. (You need to update your JIRA url and credentials).